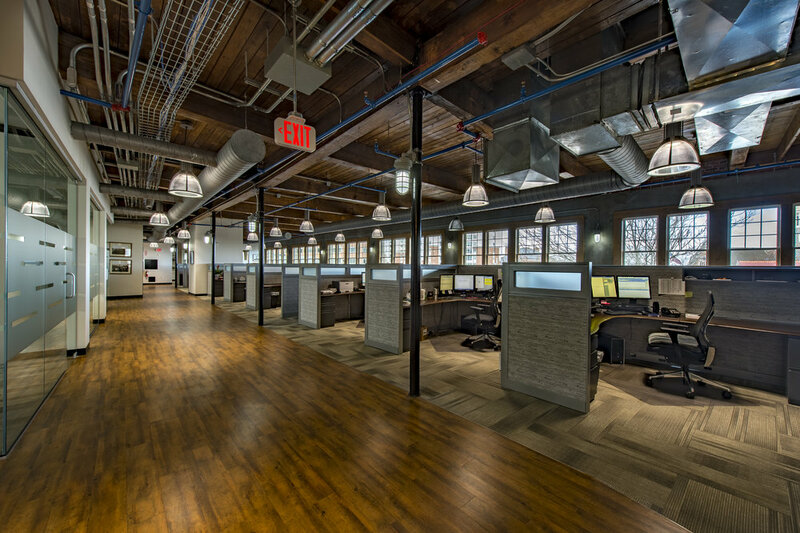 The Challenge: Restoring and preserving the historic exterior of the former Patriot Ledger newspaper facility built in 1929 and transforming the unique interior into a new office space; giving new life to the property and adding to the redevelopment of downtown Quincy Center. Included restoration of exterior masonry including brick/concrete repair and replacement of damaged or missing portions, repointing mortar joints, new membrane roof, new utility services, new mechanical, electrical, plumbing, fire protection systems, site paving and exterior lighting. 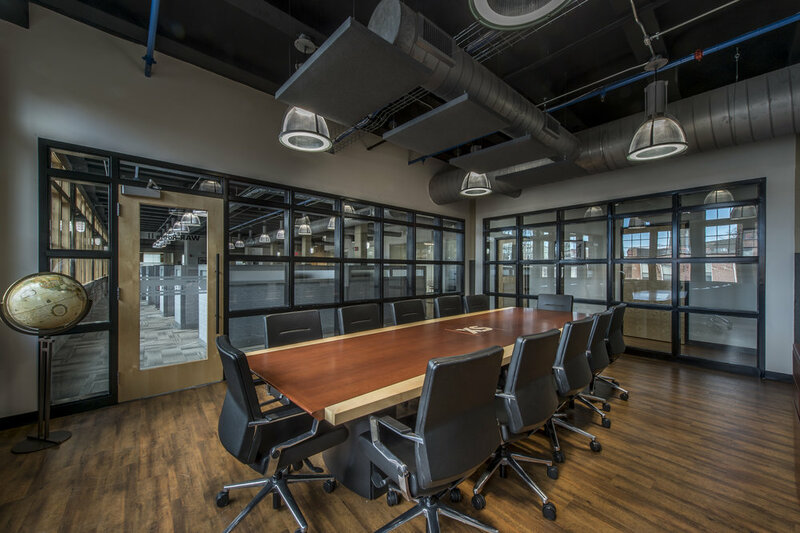 Total gut renovation to create a new single company interior office space with work areas, luxurious offices, conference rooms and a top of the line fitness center with male and female locker rooms. Windows and storefronts on Temple Street were replaced with new custom wood windows to replicate the original historic style. All the others were replaced with more modern, yet historic looking windows. Significant interior, character defining features include a Lloyds of London room and grand entry lobby and workspace on the first level, exposed masonry, concrete walls and ceilings on all levels and exposed heavy timber ceilings on the third level. Custom detailed door and window moldings, wood doors with transoms, handrails, high ceilings and other decorative features that emphasize the unique character of the buiding and its history.